For me, this restaurant business has always been about the people I get to meet. The people who are slugging it out every single day to do amazing work in their communities. People like Carrie and David Schat. Talented, generous and kind. Passionate about baking. About a year ago, they sent me this photo. I was not only honoured, but touched deeply by the connection and passion that they both have towards the restaurant industry. I was touched that through the words of my book, they had some hope to try to get over that difficult financial hump which we have all experienced as entrepreneurs. When they contacted me, they were struggling. Business was tough, finances thin and they were very stressed out. I tried to give words of encouragement, but as we all know, making it in the restaurant business is wrought with risk. It’s hard for everyone. I was sad to hear that they had to pack it in. Join me in sharing that there is no shame in trying. No shame in closing a restaurant. Well, it’s been awhile now since I connected with both of them and a few days ago I received this email. Please drop a comment on this post to provide words of encouragement to Carrie and David. Even better, if you are looking for a very passionate and talented artisan baker in the Los Angeles Area, please contact David. You won’t regret it! Our industry is so amazing that wouldn’t it be cool if we reached out and helped someone who is so kind. Someone like David. Now that would be magic, wouldn’t it? I am sorry to tell you that we were not able to work though our challenges at the bakery and Dave decided to close the business. Our last day was December 9th. Dave put everything he had into it and I tried to help him as much as I could but it just was not the right formula. Dave’s business plan was not quite what the business turned out to be. He tried to evolve and make the necessary changes to the business and his mindset but he just could not get over the hump. 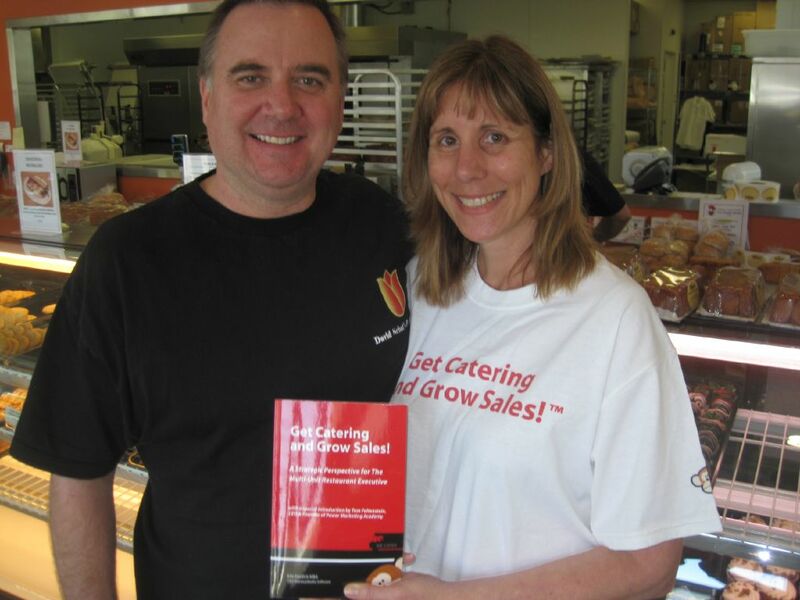 Dave and I both learned so much about the restaurant business and being business owners. It was an experience that I will never regret. One of the things I cherish the most are all of the wonderful people I met along the way. Although you and I have not met in person, I have learned so much from you and you will continue to be a great inspiration to me. He also has an interview lined up with a wholesale pie company located in our area and Safeway is interested in him as well. I look forward to reading your blog and enjoying your continued success with MonkeyMedia. Thank you for all of your advice and support. All of my best to you! This email means more to me than anything else that I do in my work. Carrie and David, thank you for taking the time to send me this note and please know, that the restaurant industry is a place of second chances. I have no doubt, that should you ever want to circle back on your passion for baking, you will find a home here. Just reach out. All the best.